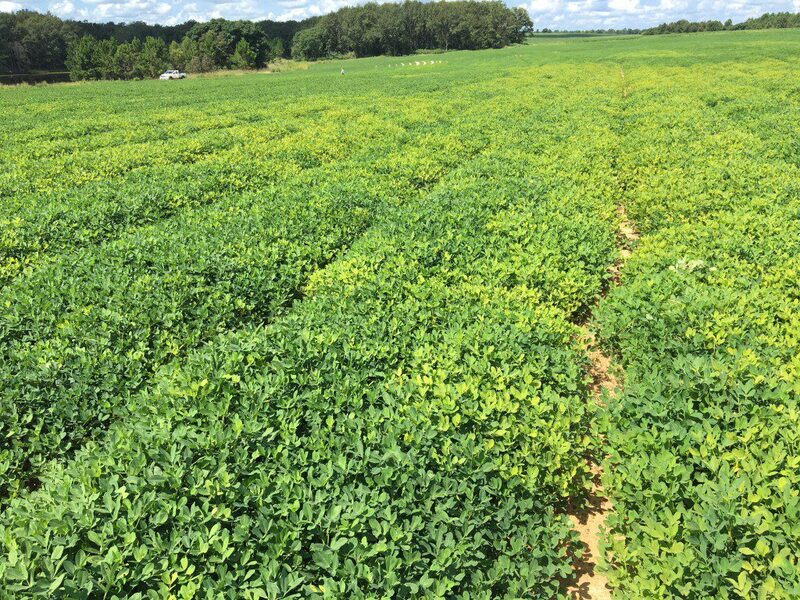 Wilcox County Ag | Peanuts Yellowing? 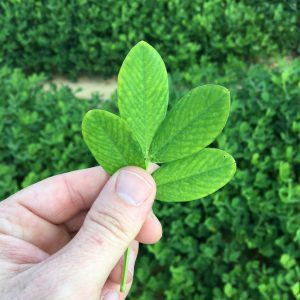 Manganese deficiency in peanut is common toward the end of the season. No need to correct. Lots of peanuts look yellow in the fields this time of year. We looked at these peanuts in the southwest part of the county this week that were about as large of a yellow spot as I’ve seen. It is not unusual to see a little Manganese (Mn) deficiency this time of the year. UGA Extension Soil Scientist Dr. Glen Harris talked to us and said there are cases he has seen where washes in the field or these type areas can actually have nitrogen deficiency. The yellow we were looking at flows right down to a large wash. We pulled a tissue sample of the green areas and the yellow areas. The sample did confirm this to be manganese deficiency. Most of the time it’s nothing we need to correct since it’s so late in the season. If leaf tissue show deficiency, manganese sulfate can be used to correct. In this case, we’re three weeks out from harvest, it doesn’t need anything. Mn is a micronutrient, and all micronutrients become more available as the soil pH decreases. They are less available for the plant to uptake when the pH is high. If we get too much lime for a few years, this can make Mn an issue. Posted in Fertility, Peanuts. Bookmark the permalink.